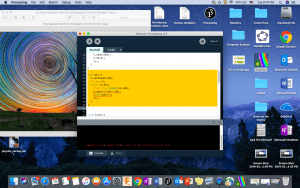 I created my own encrypting method in this project rather than copying other existed encryptions. As I like mathematics, I utilized the Unicode of characters a lot. For example, the Unicode of A is 65. There are mainly three creative encrypting systems in my encryption. First of all, prime numbers are the numbers that cannot be divided by only itself and 1. For example, number 7 only can be divided by 1 and itself, 7. Even though a concept of prime numbers is easy, the prime number is actually tricky. There is any kind of computable formula or pattern of the prime number found until now, although mathematics have tried thousands of years. Thus, we cannot find which number is a prime number unless we divide that number with every possible number: if there is a no number that cannot divide the number except 1, that number is a prime number. This characteristic of prime numbers is widely used in the United States. In fact, the United States compensates around 2oo,000$ when finding new prime numbers for this reason. As a result, I decided to use the prime number in my encryption. I first made a list of prime numbers that is between 65 to 122, which is the first letter, A, to the last letter, z. If the Unicode of a certain letter of a given statement is a prime number, I encode that letter by joining the letter of Unicode of that letter + the order of that letter in the prime list and the order of that letter in the prime list. For example, if one writes down C, which has Unicode of the prime number, it is encoded as a letter that has Unicode of its + the order from the list and the order of that Unicode. C has the Unicode of 67 and it is a 12th number from the list. Thus, this will be encoded as O12. O has the Unicode of 79, which is C + 12. In addition, if the Unicode of a letter of a given statement is not a prime number, my encryption encodes that letter as the letter that has Unicode of closest, but bigger than that number, prime number and the difference between the Unicode of a letter that has the closest prime number and a letter of given statement. For example, if we write down A, it will be C2 since C is the closest number that has prime number-Unicode and 2 is the difference (Unicode of C, 67, – Unicode of A, 65 = 2). 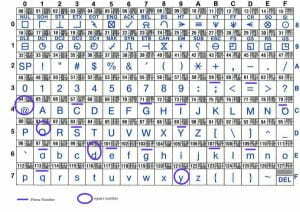 This Encryption encodes the letter that has the Unicode of square numbers as its letter and the root number of the Unicode of that letter. For example, if we put Q, which has the Unicode of 81, the encryption gives me Q9. 9 is because of the root number of 81. Since the biggest prime number between 65 and 122 is 113, letters that have Unicode of greater than 113 cannot be encoded. For these letters, I made this encryption. Simply, if the Unicode of the letter is even, encode this letter as the letter that has the Unicode of the sum of its Unicode and 3 and following by 3. Here, I used MODE to figure out which number is even. 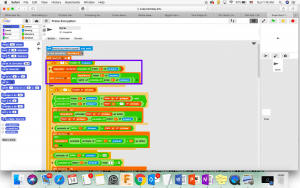 The code mode 2 = 0 shows whether the number is divisible by 2 or not, which is equal to even numbers. 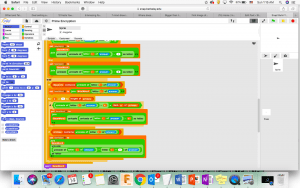 I used the “else” code to find odd numbers. I did the same pattern as even encryption except adding by 1 and following by 1. For instance, if we write down “rs”, it became “u3t1”. r became u3 since r has Unicode of 114, which is even, and s became t1 because has Unicode of 115, which is odd. Which pattern did I use? The main idea of my encryption is that if each letter of given statement meets certain condition – prime, square, even, and odd encryptions – change that letter with a modified letter and add a certain number. 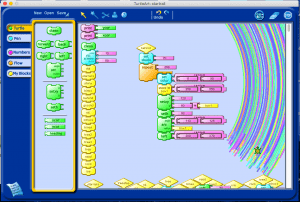 Therefore, the Filter Pattern was best-suitable for my encryption. In addition, iterations are useful in my encryption since my encryption needs to filter each letter in the statement and encode. Square Encryption’s interval includes Prime encryption’s interval. Thus, these encryptions both encode the statement, which makes a problem. To avoid this, I used “if and else” function. If & else separates prime and square encryptions. Since I used square encryption at the “if” part, the letter will first go through square encryption and check whether it meets square encryption’s condition or not. If the letter meets the square encryption, it follows square encryption’s code and if does not meet, if follows the functions at the else part, prime encryption. The letter also goes through prime encryption and follows its code. If that letter also does not meet prime encryption, the letter goes to the last codes, even-odd encryption. Prime encryptions have the interval between A to q, which are in Unicode interval between 65 to 113. Square encryption encodes only 3 letters, Q, d, and y, which all have the square Unicode. Therefore the rest of the letters cannot be encoded. Even-odd encryption encodes the rest letters. 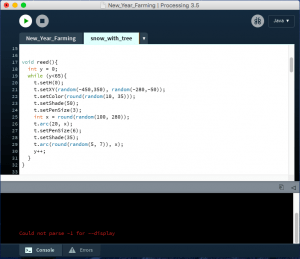 Since there was no formula for prime numbers, I struggled to create a code that finds prime numbers. Afterward, I just decided to make a list of prime numbers between 65 to 122, the first letter (A) to the last letter (z) because there are only a little number of prime numbers. Making a list enables me to build encryption easier. I simply reverse my the encryption but do not include the numbers after the letters. However, it takes a pretty long time since my encryption was long. Look at the descriptions below about each challenge. 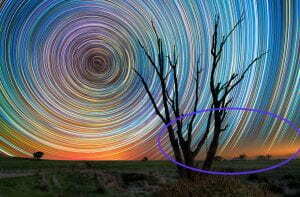 It looks so dense, and the background color, which indicates the time, cannot be seen through this star trail. By using the second method, I could make more realistic star trail. It is important to know how arc is working. For this problem, the solution is just converting processing codes into turtle art. Since the main focus of my inspiration is the stars’ circular movement with the origin of the polar star, called star trail, I will focus on making a detail star trail. Moreover, I will try to add other objects such as mountain and the rock, which can describe a nature place. Star Trail: I am thinking two ways to create the star trail. The first way is to decrement the pensize of the forward(0). I will first create the biggest circle with a certain origin with the biggest pensize. Then, I will decrement that pensize with a random color. 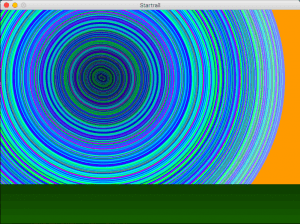 More iterations will make more realistic star trail because the gap between two circles(forward(0)) is smaller. 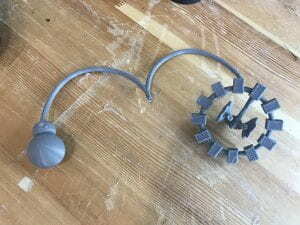 The alternative method is more creative by using an arc. 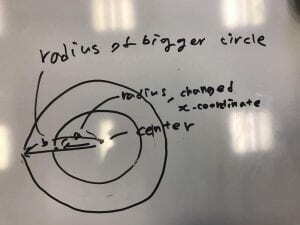 If arc draws a circle depends on its center, it would be much easier and less creative. However, since the arc code starts drawing from the turtle’s head, I would need to add one more code: I will use an iteration that keeps changing either x-coordinate or y-coordinate and uses the magnitude of the changed coordinate as a radius. Green Plain: I will use a decrement of shade to demonstrate the scenography so that my final product looks more realistic. 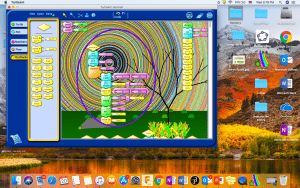 Trees at the front: I will try to utilize ‘if’ and ‘then’ code with the pensize so that the branches of the tree gets sharper and stop when the pensize is zero. Grasses under the front trees: I will randomize the color, coordinate, shade, pensize, and the setH of forward with random magnitude. 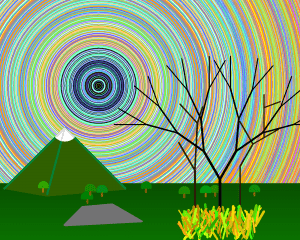 Trees at the back: First, I will make a tree with forward and arc and randomize the location of the trees. 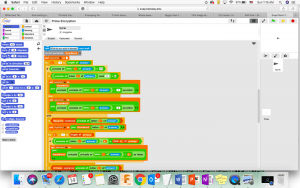 Mountain: I will try to code a three dimension mountain. Description of the primitive shapes or sketches. 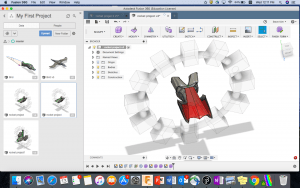 I wanted to make a special spaceship for this project. The typical spaceships that we always observe are pipe shapes and the corn at the top. Since I don’t like following the norms, I decided to make an unusual rocket. Inspired by the movie Interstellar, my favorite movie, I first sketched key details of the Endurance, such as the 12 circular pods. For the main spaceship, I briefly designed with some details like a hexagon shape. There are mainly 3 tools that I used. 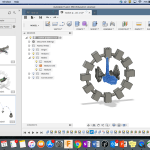 First, the circular pattern enables me to easily design circular pods. 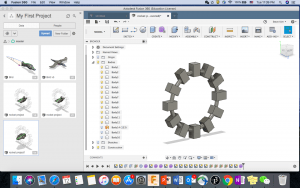 By using a circular pattern, I only needed to create one pod with the axis and repeat those in a circular pattern. Thus I didn’t need to put teddies efforts on sketching each of 12 pods. 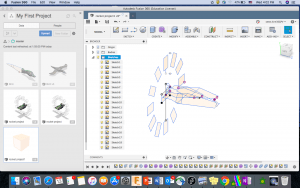 Second, I could easily create a detailed endurance with a ‘combine’ tool in the modify section. There are 3 separate parts of a spaceship: under spaceship, upper spaceship, and the round edge of the spaceship. After I finished making all 3 parts, I only needed to press combine tool to merge those. Lastly, the ‘symmetry’ tool was vital. 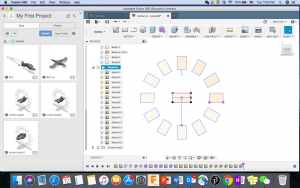 If I did not use the symmetry tool, I not only would need to work twice more but also my design would not be symmetric. 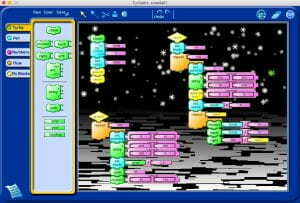 In fact, I made two spaceships for this project because my first design could not be made due to some problems. 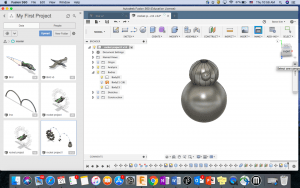 Since I liked the first design and put enormous efforts, I did not want to give up and restart with a new model. I spent more time on fixing those problems. Unfortunately, the spaceship looked not as cool as before as I revised some problems. Therefore, I finally decided to create a new design. However, I do not regret my give-up decision because my second design is well finished and it looks cooler for me. I created a BB-8 instead of a circle. I thought BB-8 is more related to a spaceship than just a circle. I am 200% satisfied with my product. Even though this task is simply to remake the original turtle art, I tried my best to add my own ideas. 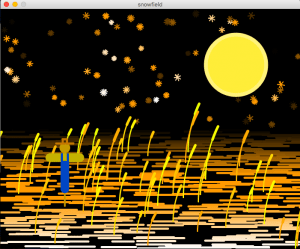 As a result, I coded everything except a glacier and a snow background. 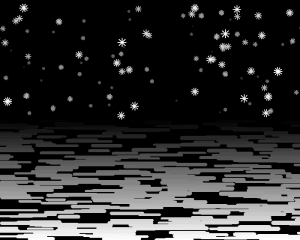 There are specifically four adjustments from the original turtle art: a color of snow and glacier, moon, reeds, and the scarecrow. 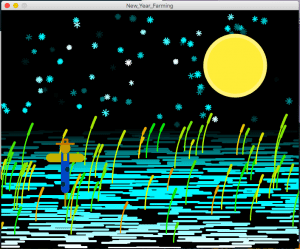 The purpose of my remakes is to celebrate the new year with abundant foods(farming). Therefore, I changed the original turtle art, snowfall, to farming. Before explaining my adjustments, I want to briefly mention the process of converting turtle art codes into processing. This helps me to understand the codes of the original Turtle Art. I could utilize these codes after I totally understand. 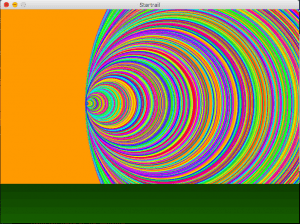 Hence, I do think it was useful to convert into processing instead of working in the Turtle Art. 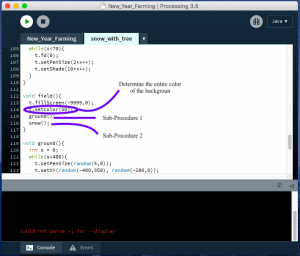 However, there were a few problems in Processing such as I can’t display a negative number on the screen. Setting color as -9999 makes the white color of snow and glacier in this turtle art. Therefore, I could not display the white snows and glaciers. I thought there will be an alternative way like setting the shade as 100 to make a white color. I also could not set the shade to 100 because the shade of the snow and glacier are already set in the sub-procedure. Because of this limitation, I decided to change the color of the snows and the glaciers. Luckily, I could find a more suitable color, blue and orange, to my theme. First of all, I needed to revise the color. Since the theme of my remake is related to farming, I decided to change the color that can indicate each season. By using Sub-Procedures and combines those into one sub-procedure, I could easily manage the color. I set the procedure of snow codes as ‘snow’ and glaciers as ‘ground’ and combined those into one sub-procedure, set as ‘field.’ The color of ‘Farming in Autumn’ and ‘Farming in Winter’ are set as 10 and 50, respectively. To intensify the feeling of autumn and winter, I used a different color for weeds. The color of reeds in ‘Farming in Autumn’ and ‘Farming in Winter’ are each random(10, 21) and random(10, 35). I randomized the color of reeds to make it more realistic. A full moon effectively emphasizes the feeling of the New Year, which is my theme. In addition, the moon looks more realistic by incrementing the shade of it. 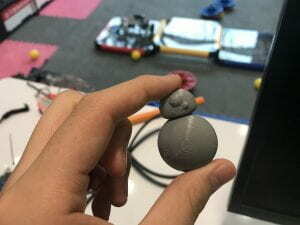 I created the moon through the iteration of forward(0). Therefore, I could increment the shade. Reeds are one of two major adjustments that I made. Reeds highlight the theme of farming. By using iteration and random color, an arc length of reeds, and coordinate(setXY), I could simplify the codes. The codes of the reeds are composed of two arcs. By setting this radius of these two arcs, I could randomize the sizes of reeds. These changes ultimately made my art more virtual. The Scarecrow also supports my theme, farming. Since there was no repetition in the scarecrow, I could not find a way to simplify the codes. Also, I really put enormous efforts to create a realistic and detailed scarecrow. Jean overalls, brown hat, and the dots on the jean(only appears in farming in winter) are key points. I used iteration(rectangle) to make a hat. Based on my first inspection, I thought it is mostly made by iteration to randomize the size and the position of falling snows and the ices (at the bottom). In addition, the increment of the shade of ices and snows was impressive since darker snows and ices really look further away from me. After I looked at the codes in turtle art, I was surprised by not only the secret techniques of portions to present the illusion of darker snows and ices look further away from me but also the length of those codes, which is too precise. I separated into three parts of analysis: two sub-procedures, and one final code. The main point in the snow part is how to illustrate the increment sizes and shades and various shapes of snows with the random positions. looks like the snows are only located at the back. Furthermore, as I mentioned before, the size was set as shade/10, therefore as the snows became brighter, the snows also became bigger(purple part in the picture). Since I was also curious about number 10 at the denominator, the snows were too small when the number was greater than 10 and snows were too big when the number was smaller than 10. Since we are repeating it 100 times, the differences of sizes and shades exponentially change. 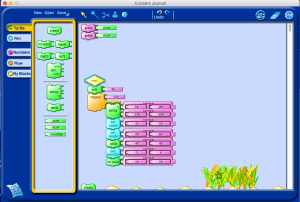 Another key technique that is used to make the overall code simple is related to math. Snow is designed by repetition of moving forward and backward with changing the angles. Since the center angle of a circle is 360, the designer created a new parameter that is randomized from 8 to 12 and set this parameter as the number of repeating the forward and backward and divide 360 by the parameter. 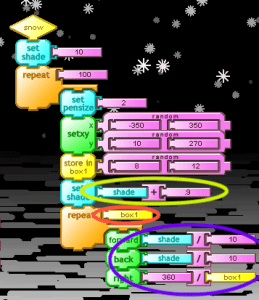 Therefore, snow can be drawn with simply four codes: iteration, forward, back, and right(Purple and Red part). Finally, by setting the x coordinate and y coordinate as random -350 to 350 and 10 to 270, respectively, and repeating this random coordination, the snows could be positioned differently. Besides these important codes, the pensize is set as 2, and the initial shade is set as 10. Codes for making ground filled with snows and ices are even simpler than the snow. It only requires five steps in one repetition. The main key is the decrementing of shade. The shade of the ices decrements based on the Y-Coordinate. The shade is specifically set as y-coordinate/ -2.8, so as the ices are randomly positioned at higher y-coordinate, ices are darker and create the scenography(the purple part at the picture below). 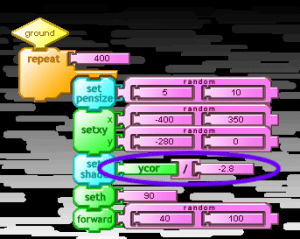 Same as Snow, the designer set ices’ X, Y coordinate as random with a specific range in order to set all ices at the bottoms. Ice is simply illustrated by forward code with random range, from 40 to 100. This random range will determine the length of ices. 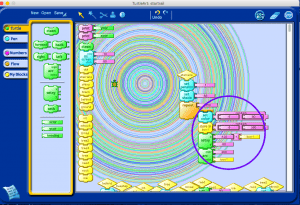 In addition, the role of Seth 90 is to enable to solely draw horizontal ices. The size of the ices is random by setting the pensize as random from 5 to 10. 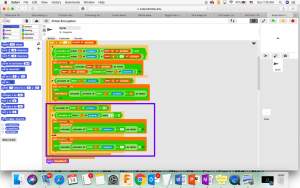 In the final code, it sets the background color and combines two sub-procedures. The background color is set as black through the color of -9999 and a shade of 0. The final code also decides a color of the entire objects since the designer didn’t separately set the color in the sub-procedure. 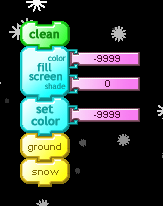 Hence, we can simply change the color of snow and ice at the final code. 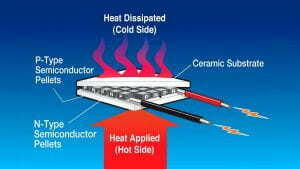 : The main idea here is the concept of the thermoelectric generator and piezoelectric generator. The thermoelectric generator produces the energy by the difference of temperature. If one side is heated and another side is cooled, it generates the energy. 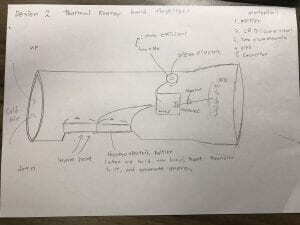 That’s why I made a flashlight design with an empty aisle inside a pipe: the cold air comes inside the pipe and cools the cooper attached at one side of the thermoelectric generator, which increases the temperature difference between the side cooled by cold air and another side cooled by thermal of hand. This phenomenon is called the Seebeck Effect. Also, the piezoelectric disc generates the energy as it gets the pressure. Therefore, whenever a user presses the piezo button, the energy is produced. 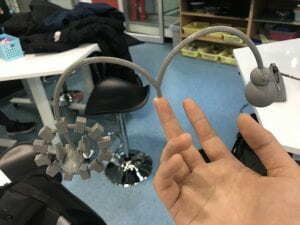 By adding the spring and foam as a soft button on the piezoelectric disc, I enable the user to press the button comfortably with less force than they press only the piezoelectric disc. These two types of energy generators are a typical example of nanogenerator. Explanation: As a picture, two buttons are attached to the flashlight. Most users might don’t know those buttons have a special power and actually generate the energy. Throughout many testings, I realized that the piezo disc itself is difficult to be pressed. Also, I was not sure if I really press the right position to generate the energy or not without the Digital Multimeter. However, by adding the spring and the foam on the piezoelectric disc, I could notice whether I press it or not. In addition, it feels more soft and comfortable to press the button than the piezoelectric disc itself. Explanation: Since the thermoelectric Peltier generates with the temperature difference, the more temperature differs, the more energy is produced. By leaving the empty hole inside the flashlight, I let the cold air to go inside and cool the one side of thermoelectric Peltier. As another side is heated by humans’ hand, the energy is generated. Design: My sketch and design were easy and detailed so that my friends could understand only by looking at my sketch. 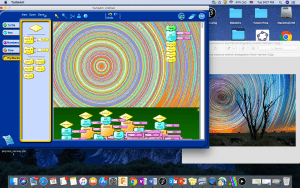 Creativity: I tried to use the idea outside of the box, not the original with tutorials. 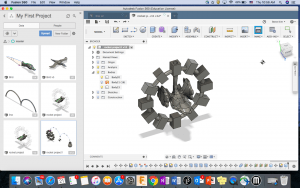 Therefore, my project is fully processed without any video tutorials. From design to build, 80% of the process is done by me. In fact, I was inspired by the idea of a flashlight powered by the thermal energy of humans’ hand, I did not follow that process. I added my ideas such as adding the piezoelectric disc to generate more energy, using a rechargeable battery instead of a voltage booster. Effort: Even though I failed on the first design, I didn’t give up, and succeed on the second design. I stayed until 6 P.M on Thursday and tired my best to finish. Planning: I think my planning was weak. If I planned more carefully, I would not fail even on the first design. However, since these two ideas are created by me and there is no tutorial, I wasn’t sure my project would work or not. After all, I started this project as a challenge, unlike other people who just follow the tutorial. 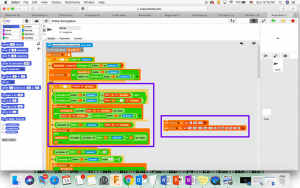 Electrical circuit: I had no knowledge about how to make a circuit that transfers the electricity. 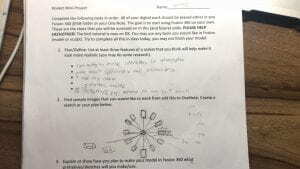 I didn’t know much about electrical engineering. I will make sure that I know everything about my project before I start in next time. Explain the impact of this project on the environment and potential client/consumer. Miner: since miner works at a dark and cold place, they are the perfect audience for this flashlight. Moreover, although they are in dangerous situation, they no longer need to worry about the energy for light. Adventurer: they can use this flashlight effectively since they are usually in a dangerous situation. Even though they are in a dangerous situation without a battery, they can use a flashlight. A country where the energy is insufficient: citizen does not need to worry about money for the light. They can use this flashlight to study at night, work in a dark place, and any other action that the light is necessary. : Since I had two pretty awesome plans and ideas for this project, I spent a few time to choose which design I a going to make. In the end, I decided to start with design 1 since design 1 with totally my own creative idea, from idea to process. Therefore, the satisfaction of observing my product will be much greater. In addition, I even bought a skateboard for this project, so I wanted to start with design 1. On the other hand, I was surprised by the fact that I can generate energy only by holding the thermoelectric disc and pumping the piezoelectric disc. : I finally realized that I cannot finish the product of design 1 today. While I was making a wheel, I felt it takes so long time and it is impossible to create four wheels within a limited day. In addition, one of my main material, the piezoelectric disc was not enough. At first, I designed to three four piezoelectric discs at each wheel to stabilize all wheels with symmetry. However, I only found five electric discs, which means I cannot even make two wheels. 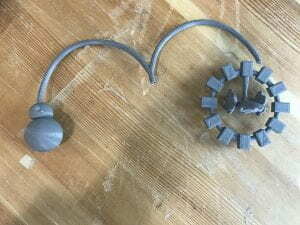 Moreover, I lost one piezoelectric disc and my motor wheel was broken with unattached electrical wire. Therefore, I sadly decided to change. It felt like I gave up and fail. I really wanted to create my own design from plan to build. It was one of my dreams. More tragically, half of time that I can work was gone and I needed to restart. As a result, I didn’t even have time to regret. Even though enormous pressure was going on on my mind, I needed to start with design 2. Luckily, I could start building design 2 and built a basic structure with a pipe. Find out that it is impossible to turn on the flashlight without the device called voltage booster and the school doesn’t have one. 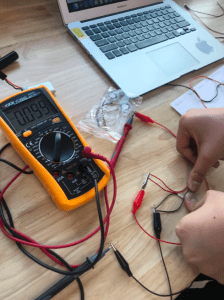 Decide the alternative way to use the piezoelectric disc and thermoelectric Peltier to power the flashlight: using the capacitor to store the energy and then turn on the LED when enough energy is stored. Voltage booster: a DC to DC converter(changes one DC voltage to a different DC voltage) with an output voltage greater than the source voltage. Since I can only generate a maximum 1 voltage with two piezoelectric Disc and thermoelectric Peltier, I needed this converter to increase the output voltage to 3 voltage, which is a minimum requirement for LED. 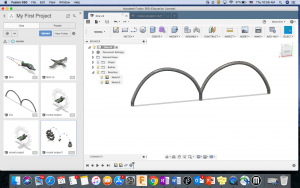 Reflection: While I kept working on design 2, I encounter another challenge. 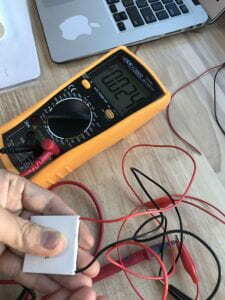 The total voltage that Thermoelectric Peltier can generate is way lower than the sufficient voltage to turn on the LED. The Maximum total voltage was 0.1 V, and the sufficient voltage was 3 V. Therefore, I researched this problem and realized that I need a device called a voltage booster. Unfortunately, the school doesn’t have one. I came up with an alternative idea, which is storing the energy in a capacitor and turn on the LED when enough voltage is collected. However, I didn’t know how to use a capacitor, and I needed to decide quickly. In the end, I decided to use a rechargeable battery instead of the capacitor. 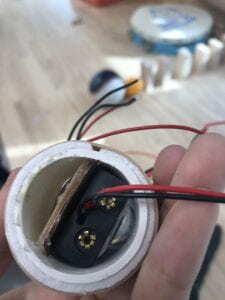 Moreover, by adding a piezoelectric disc on the flashlight, the energy would be generated faster and more efficiently. 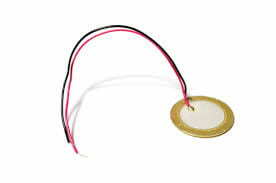 In fact, the piezoelectric disc could generate enough energy to turn on the LED according to some videos. Prepare all the materials for the last day, Friday. Reflection: I saw a huge improvement and progress. It was the first time I felt that I can finish within a day. Also, it reminded me of a lesson, “effort never betray”. I was building until 6 P.M. 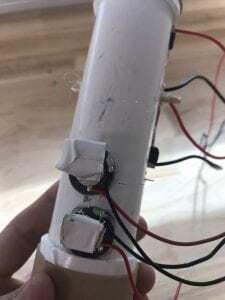 Attach all the materials like two piezo buttons and two thermoelectric Peltier to the pipe. : I was really glad that my final product looks pretty cool. Through various challenges and solutions, I learned priceless lessons. First, I thought I need to prepare more before I start by checking all the materials are there and consider about the time limit. Second, I needed to manage my materials more carefully. Since I put my materials in a packet without any order, some materials were broken and some were gone. Third, the effort never betrays: if I did not stay until 6 P.M on Thursday, I will not be even close to the finish. Lastly, don’t give up: since I didn’t give up on Monday when I encountered enormous challenges, I can make a second design successfully. However, I couldn’t finish my product 100 percent. I need to solder all the electric wires and build a cover for the LED. Fortunately, it is sure that my final product works if I only solder the wires. The testing video below can explain why my final product will work. Whenever the user pushes the piezo button and holds the thermoelectric handle, it generates sufficient energy. It is because most users will use it outside where the temperature difference between the weather and our hand is huge, which can produce more energy by the Seebeck effect. 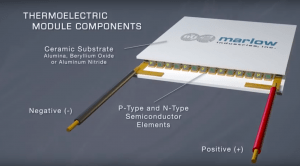 Seebeck effect is basically a phenomenon in which a temperature difference between two dissimilar electrical conductors or semiconductors produces a voltage difference between the two substances and can generate energy. 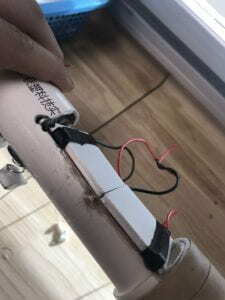 From Mr. Stenning: recommend me not to cut and solder the wire of thermoelectric generator since if the soldered thermoelectric generator is not working, my project is failed. Alternatively he advises me to twist the wires together. Mr. Costa: I got really helpful feedback about using machines and tools such as Power Tool and Saw. Mr. Shokatz: Help me a lot when I have difficulties of cutting the middle pipe. Mr. Beatty: Teach me how to store all the energy from the piezoelectric disc and thermoelectric generator. From my friends: they recommend me to stop making the first design and start with a second design quickly. In fact, this advice was really helpful because they let me know the limitation of time and I would not be able to finish the first design. First day(Thursday): find all materials. 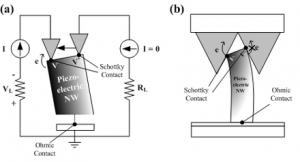 check whether Piezoelectric disc works or not. 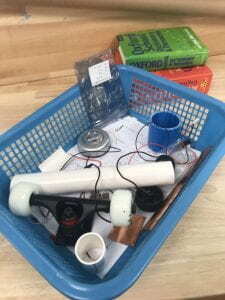 Second day(Monday): finish making one Piezo wheel of two wheels and testing whether this wheel generates energy or not. Third day(Wednesday): build another wheel and connect those two wheels into pipe and bearing. build the structure with the pipe. Effective: we can generate energy only by riding a board, which is common transportation. 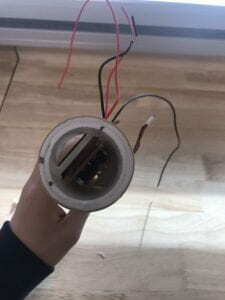 Complication of managing the electrical wire: since the piezoelectric disc is attached on the wheel, and the wheel keeps moving, the electrical wire of piezoelectric disc also should rotate in the same ratio of wheel moving. 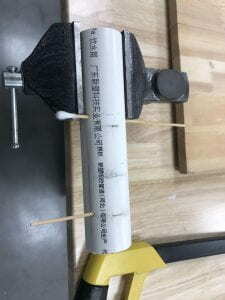 In fact, I solved this problem by using bearing as shown in the picture above, it will take so much time by testing and getting the ratio of the wheel and piezoelectric disc wire’s rotation because the size of bearing and the wheel is different. Limitation of time: since there are four wheels on the board, and it takes so much time to make even one wheel, I won’t finish this project on time. 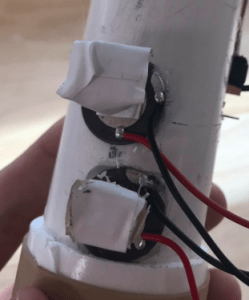 : The main idea of this is attaching a piezoelectric generator on the wheel so that whenever we ride a board, the wheel hits the ground and the attached Piezoelectric Disc gets a pressure. Therefore, it generates the energy. In addition, by using a motor as a wheel, whenever we ride a board, the wheel is rotated and generates energy. As a result, we can generate a huge amount of energy, the sum of energy from piezoelectric disc and motor, by riding a board. First day(Thursday): collect all the materials and test whether the thermoelectric Peltier and Piezoelectric disc work or not. Second day(Monday): Build the outer structure with the pipe. Test whether the Peltier generates and Piezoelectric disc enough energy to turn the light on or not. Third day(Wednesday): attach the Peltier and Piezoelectric into the pipe structure. Last day(Friday): decorate the appearance. Creative idea: In fact, the flashlight powered thermoelectric generator already exists(created by the winner of Google Science Fair). 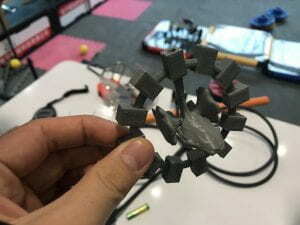 However, I added a piezoelectric generator on her idea so that it can generate more energy: the piezoelectric disc can generate more energy than thermoelectric energy by human hands. 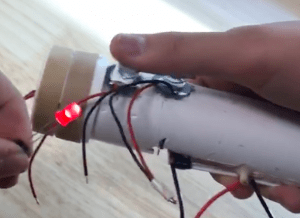 Not original: the flashlight powered by humans’ hand is already created by Ann Makosinshki, the winner of Google Science Fair 2013.
: The main idea here is the concept of the thermoelectric generator and piezoelectric generator. The thermoelectric generator produces the energy by the difference of temperature. If one side is heated and another side is cooled, it generates the energy. 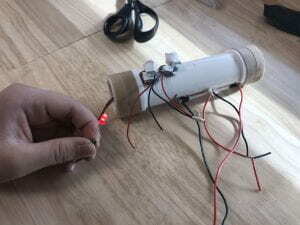 That’s why I made a flashlight design with a hole inside a pipe: temperature between cold air and the thermal of hand. Also, the piezoelectric disc generates the energy if it gets the pressure. Therefore, whenever a user presses the piezo button, the energy is produced. Similar to design 1, it generates energy from two types of energy generator, which is way more effective. workers who work in a dark place, like miner: since miner works at a dark and cold place, they are the perfect audience for this flashlight. 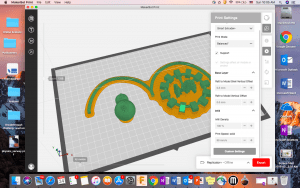 : During this Science-Engineer Project, students are designing a device that converts energy, taking renewable energy & converting it to electrical energy, and creating a device that can be used to teach. The point is that we need to express our understanding of energy transfer. ‘Engineer’ means any engagement in a systematic practice of design to achieve solutions to particular human problems, and we are using our scientific ideas on designing and creating. : I am planning to create a device that transfers either sound, thermal, pressure force, to electric energy and make the light bull works. However, I am sure that I am not going to waste the electric energy to make the electric energy. I hope I can create the new energy transfer techniques. 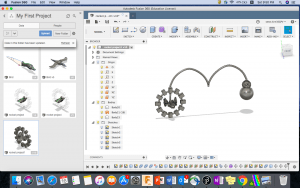 The advantage of my idea would be saving the energy, but it will be hard to make a successful design. Cons: The design of attaching energy storage is not efficient. Pros: We can turn on the light bull only by shaking the pipe. Cons: We don’t shake too much in our normal life.